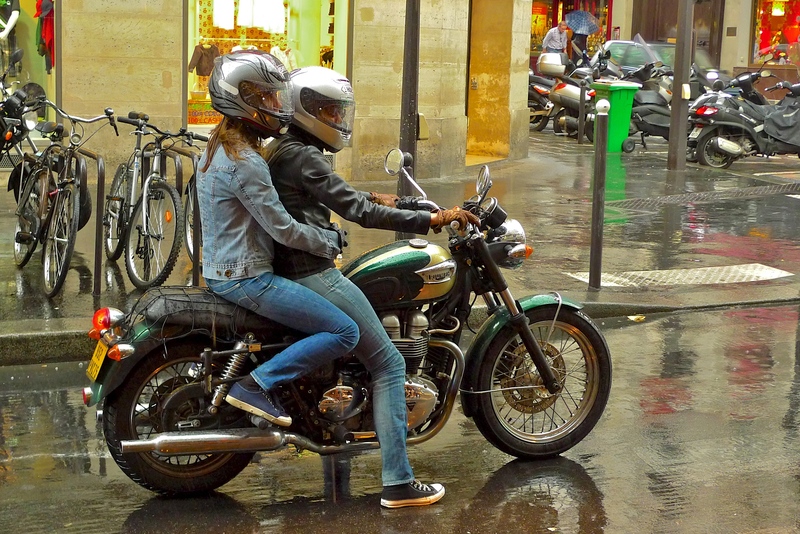 NAMED AFTER THE FRENCH comedian, humorist and member of the French Resistance, rue Pierre Dac is just 23 metres long making it one of the shortest streets in Paris. 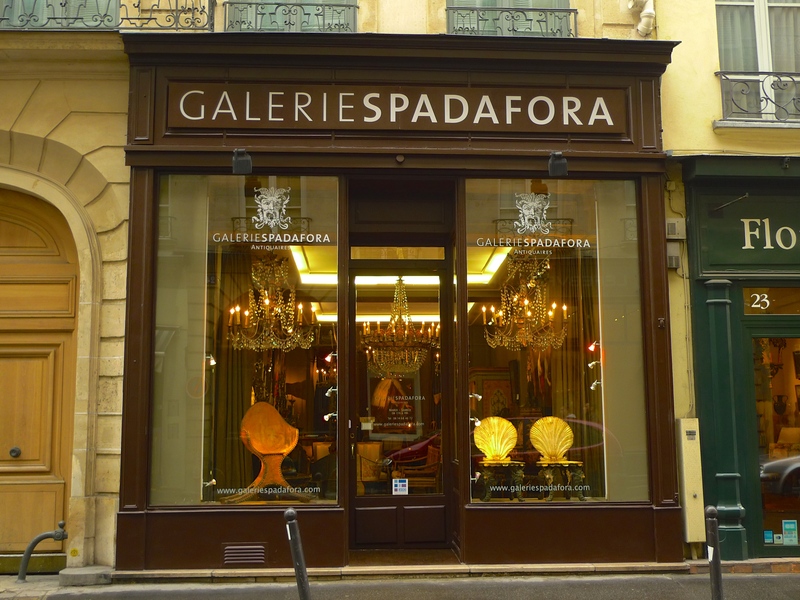 Originally forming the upper part of rue de la Fontaine-du-But linking rue Lamarck and rue Caulaincourt in the 18th arrondissement, the street’s name was changed in 1995 in honour of Pierre Dac. The distinctive red sign in rue Pierre Dac points us towards the Métro station Lamarck-Caulaincourt and tells us that this station once formed part of the three Paris Métro lines owned by the Nord-Sud Company, or to give it its proper name, la Société du chemin de fer électrique souterrain Nord-Sud de Paris. In 1931, the Nord-Sud Company was taken over by its competitor, la Compagnie du chemin de fer métropolitain de Paris, which in turn was nationalised in 1948. The Métro station Lamarck-Caulaincourt is perhaps best known for its distinctive entrance nestling between the two staircases that form most of rue Pierre Dac. Lamarck-Caulaincourt station was opened on 31st October 1912 and today it forms part of the Paris Métro Line 12 linking the stations Front Populaire in the north to Issy-les-Moulineaux in the south. The station platforms were renovated in 2000 – 2001 and further work was carried out in 2006. Since Lamarck-Caulaincourt station was constructed under the butte Montmartre, the large hill that forms the village of Montmartre, it’s not surprising that the station platforms are some 25 metres below the station entrance. For those who arrive at the station by train and find the 25-metre climb out of the station a challenge, RATP have thoughtfully provided a lift to make life easier. I recorded the sounds inside the station to add to my extensive archive of sounds of the Paris Métro network but I also recorded sounds from the staircases in rue Pierre Dac outside the station, which I found to be equally fascinating. I sat on one of the staircases and simply observed life passing by just as the photographer did in the 1925 photograph below. L’entrée de la station de métro Lamarck-Caulaincourt entre les escaliers de la rue de la Fontaine-du-But, vers 1925. Photo collection Jean-Pierre Rigouard. Sitting on a staircase in the street observing the world passing by might not be everyone’s idea of a good day out, but at least I wasn’t the only one! Observing through active listening is what I do and whether it’s the sounds of a Métro station platform or the sounds of a staircase in the street I’m always captivated by the stories sounds have to tell to the attentive listener. Although we can see from the photograph what this place looked like in 1925, I can’t help wondering what it sounded like then and what stories those sounds would have told us. RETURNING FROM A recording assignment in the 7th arrondissement the other day, I called into the nearest Métro station, Assemblée Nationale, to catch a train home. Faced with a choice of two entrances to the station I couldn’t resist using the elegant Hector Guimard entourage entrance with its classic red METROPOLITAIN sign, distinctive of the former Nord-Sud line, instead of the rather plain entrance across the street. The station was opened on 5th November 1910 as part of the original section of the Nord-Sud Company’s line between Porte de Versailles and Notre-Dame-de-Lorette. The Nord-Sud Company (Société du Chemin de Fer Électrique Nord-Sud de Paris) was established in 1904 and built two underground lines, now line 12 and part of line 13. The company was taken over by the Compagnie du chemin de fer métropolitain de Paris (CMP) in 1930 and incorporated into the Paris Métro. The station was originally called Chambre des Députés, the former name of the French National Assembly, a name the station held until 1989 when it became Assemblée Nationale. Both the original and the current name of the station of course derive from the Palais Bourbon, the seat of the French National Assembly, the lower legislative chamber of the French parliament, which stands close by. The identifying feature of Métro station Assemblée Nationale is that there are no advertisements anywhere in the station. Instead, the walls sport ninety-metre long murals featuring various aspects of the work of the National Assembly. The murals are changed with each renewal of the legislature. 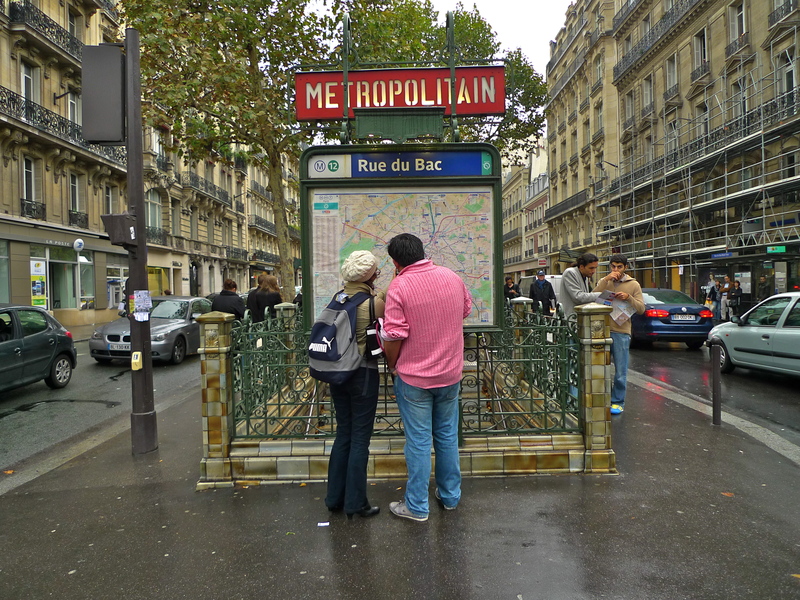 Both the Palais Bourbon and the Hector Guimard métro station entrance are located in Faubourg Saint-Germain, an aristocratic neighbourhood bristling with government ministries and foreign diplomatic embassies and it was from here that I descended into the station. Once on the platform, I paused to examine the murals and listen to the sounds in the station before boarding a train to take me home. 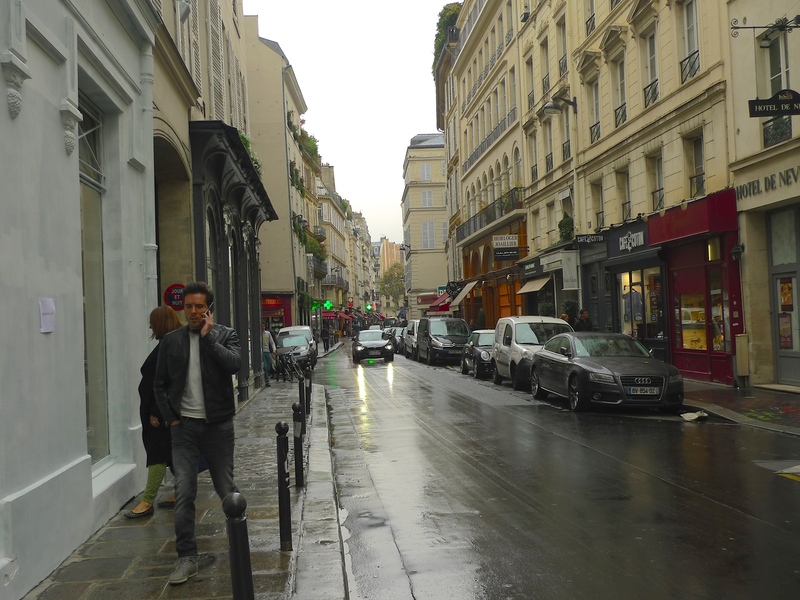 AFTER COMPLETING A RECORDING assignment in the 7th arrondissement I found myself in rue du Bac heading for the Métro and home. 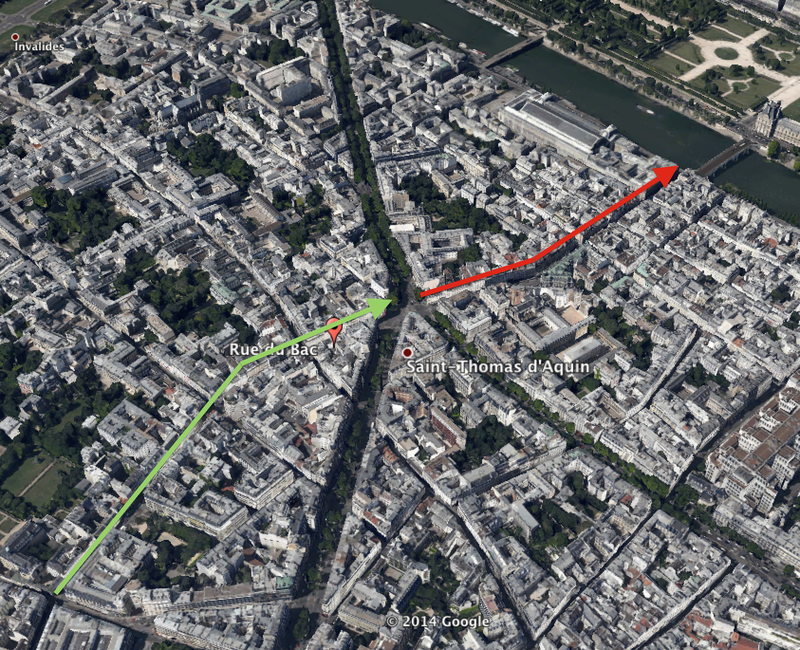 Stretching for some 1150 metres from the junction of the Quai Voltaire and the Quai Anatole-France alongside the Seine, rue du Bac crosses the busy boulevard Saint-Germain and ends at rue de Sèvres. 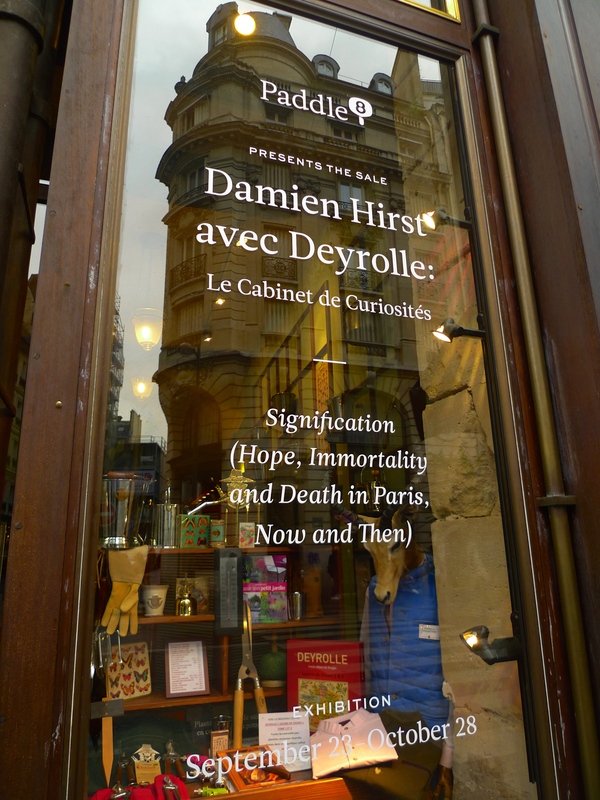 I was at the rue de Sèvres end of the street and so I set off to walk to the Métro station Rue du Bac at the junction of the rue du Bac and the boulevard Raspail, a little over half way along the street, recording the sounds around me as I went. 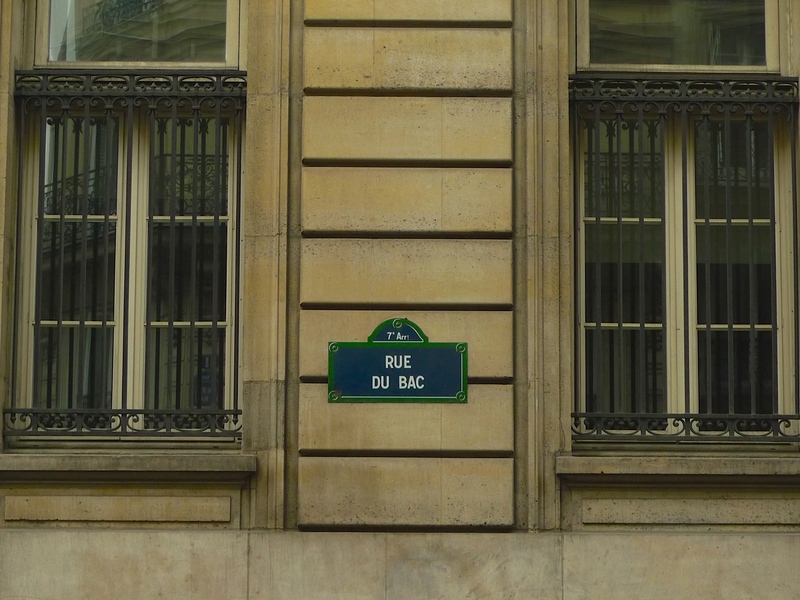 Rue du Bac takes its name from a ferry (a bac in French) established around 1550 on what is now the quai Voltaire to transport stone blocks for the construction of the Palais des Tuileries. The ferry crossed the Seine at the site of today’s Pont Royal, a bridge constructed under the reign of Louis XIV to replace the Pont Rouge built in 1632. The street was created between 1600 and 1610 and originally named grand chemin du Bac, then ruelle du Bac, grande rue du Bac and finally simply, rue du Bac. 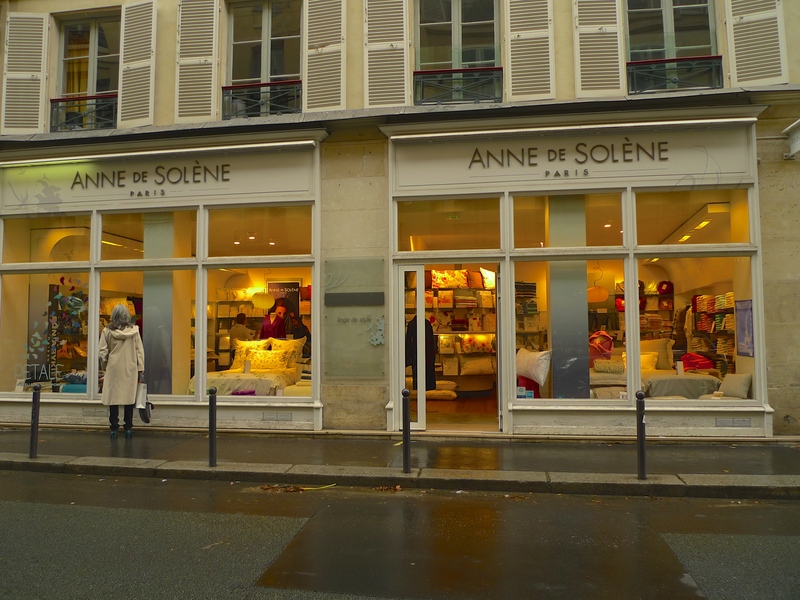 I began my walk along rue du Bac at one of Paris’ largest department stores, Le Bon Marché. 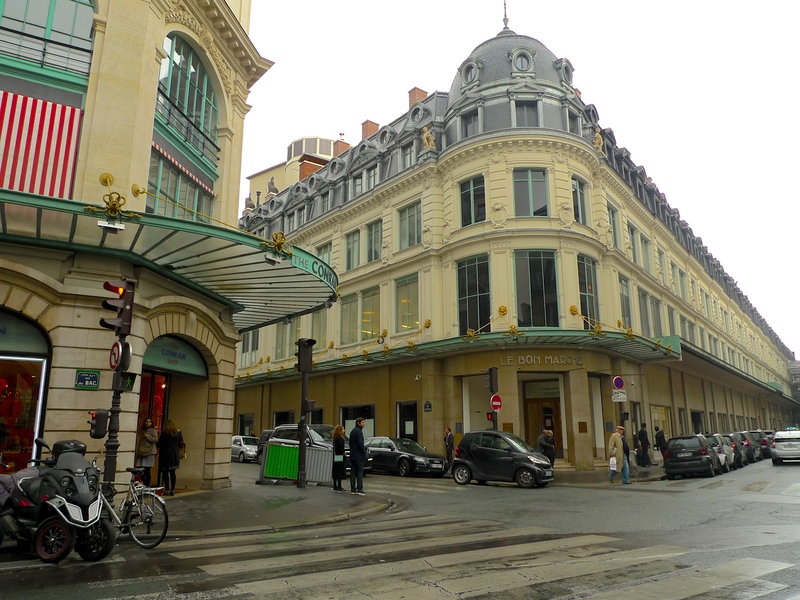 Now owned by the luxury goods group, LVMH, Le Bon Marché was founded in 1838 by the entrepreneur, Aristide Boucicault. By 1869, it had developed into one of the first department stores in the world heralding a retail revolution that lives with us to the present day. 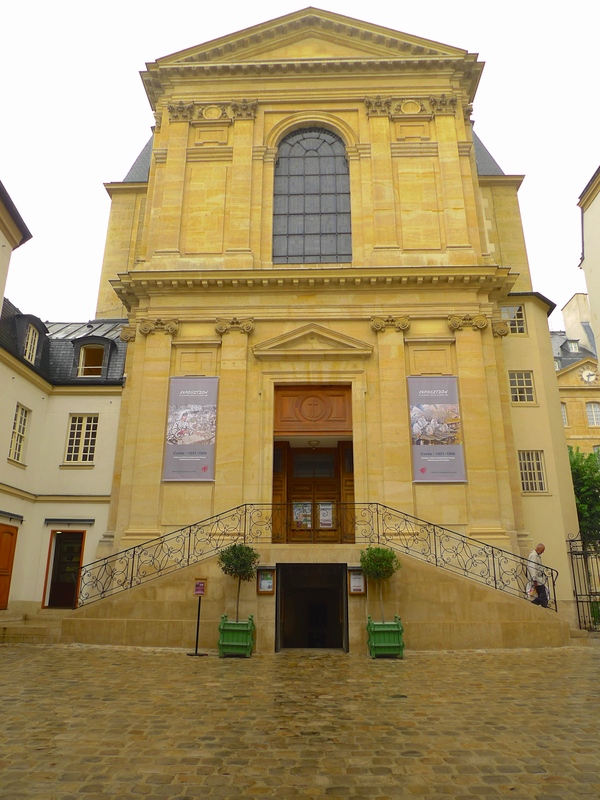 A little further on from Le Bon Marché I came upon the Chapel of the Société des Missions étrangères de Paris, a Roman Catholic missionary organisation. It is not a religious institute, but an organisation of secular priests and lay people dedicated to missionary work overseas. 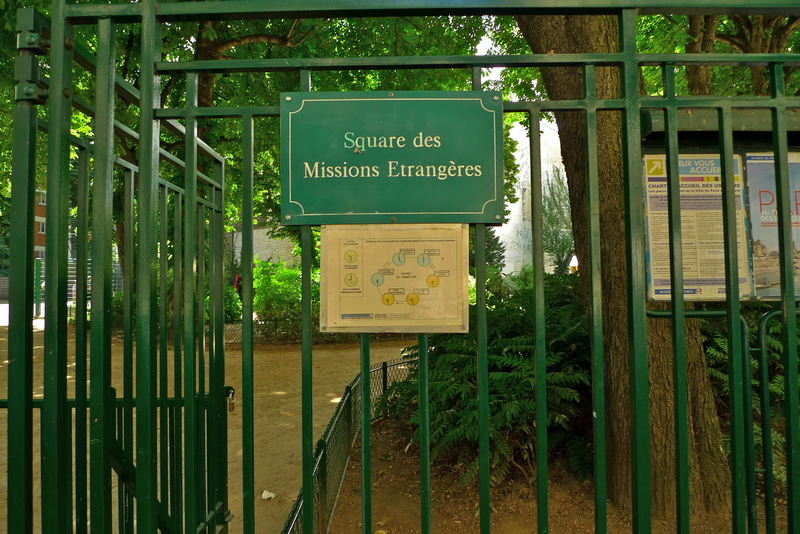 And then, across the street, the Square des Missions Étrangers. 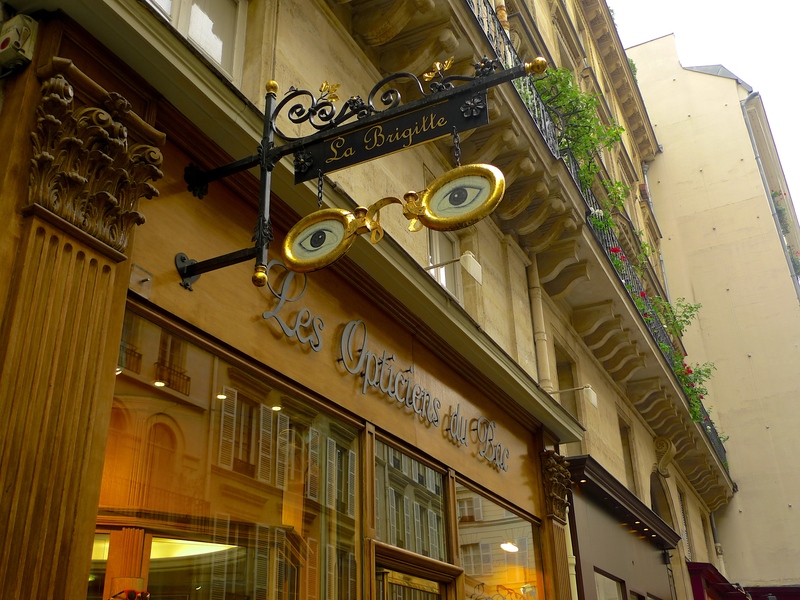 Rue du Bac is in a rather chic part of Paris and that is reflected in the boutiques lining this part of the street. 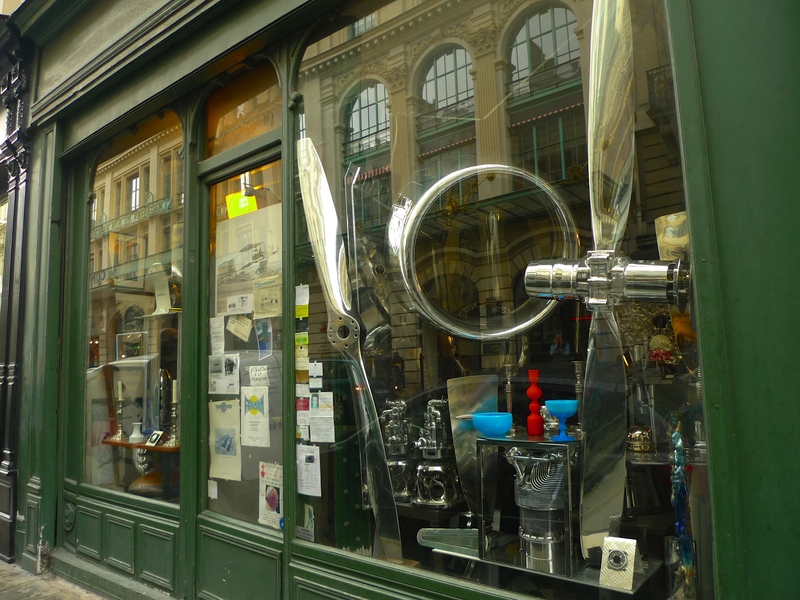 This shop, Pierre Farman at N°122 for example, sells vintage aircraft parts – heaven for an aircraft enthusiast like me! Founded in 1903 by the Austrian confectioner Antoine Rumpelmayer and named after his stepdaughter, Angelina’s has a world-wide reputation for its elegant Salons de Thé and its classiques de la pâtisserie française including its signature Le Mont Blanc comprising meringue, Chantilly légère and vermicelles de crème de marrons. 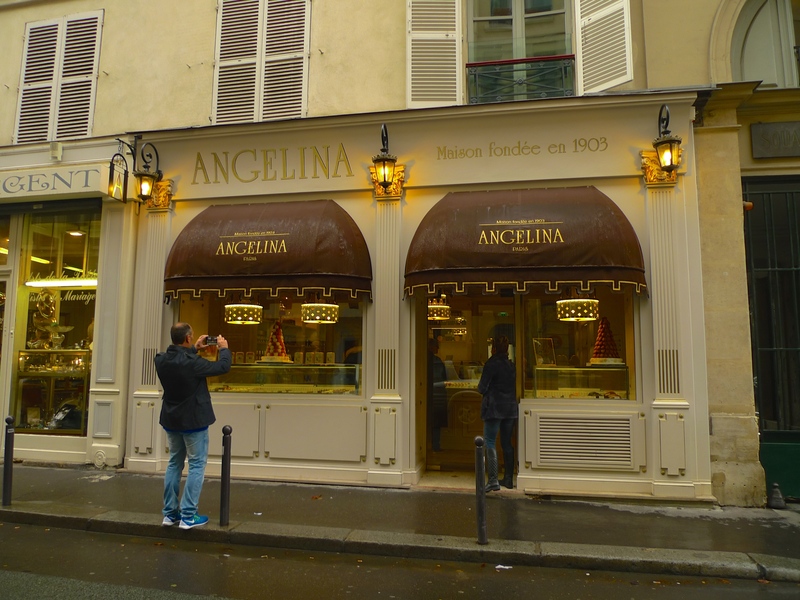 This pâtisserie in rue du Bac is one of several Angelina’s in Paris and around the world. 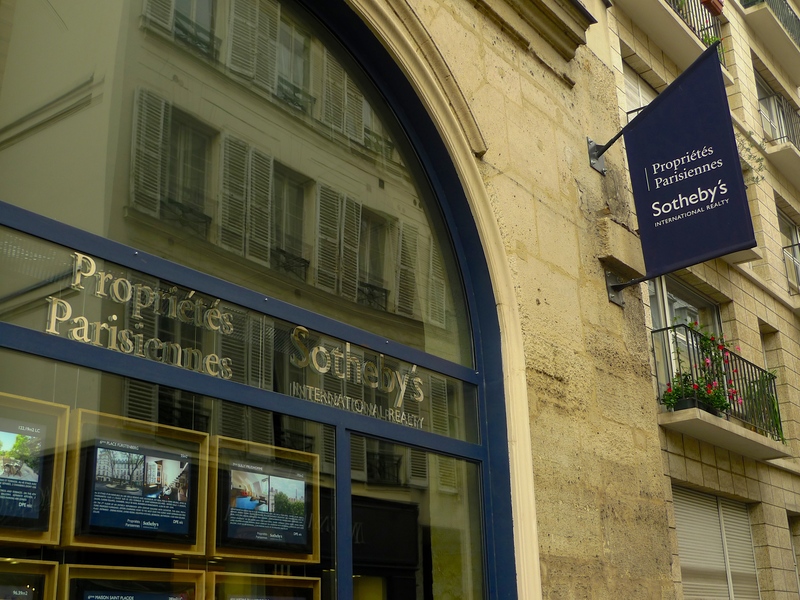 A little further on is the Sotheby’s estate agency. I always think that estate agents who display elegant pictures of properties for sale but no prices are best avoided! The Métro Station Rue du Bac. In the earlier part of the day I’d been concentrating on my sound recording assignment so I hadn’t set out to record a soundwalk in this part of rue du Bac but, as it turned out, I’m rather pleased I did. And I think the sounds of a dog barking, a boutique security guard chasing a shoplifter and a church clock striking the hour, all of which I came upon completely by chance, added to the local colour. IT’S NOT OFTEN that one gets the chance to visit a brand new Métro station and travel on a brand new section of Métro track but that’s what I did last month. 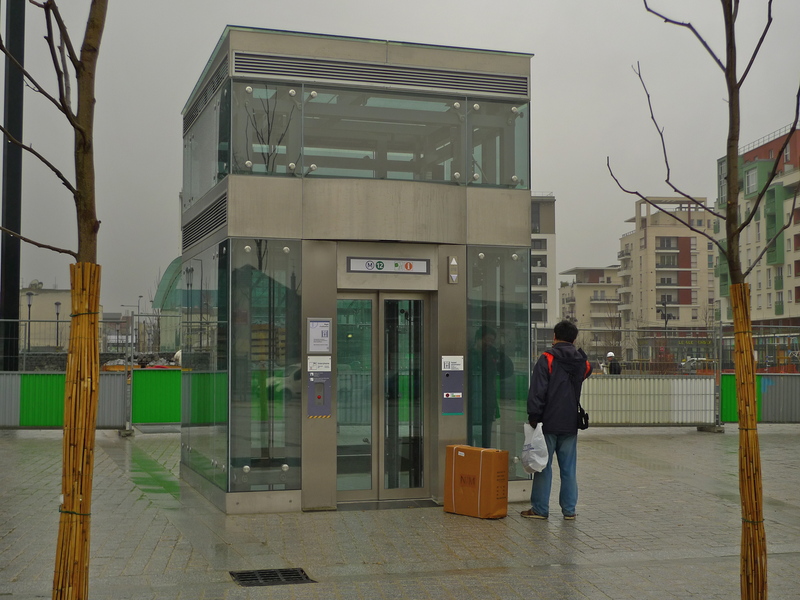 A new station, Front Populaire, was opened on 18th December 2012 at the northern end of Paris Métro Line 12 making it the 302nd station on the Paris Métro network. 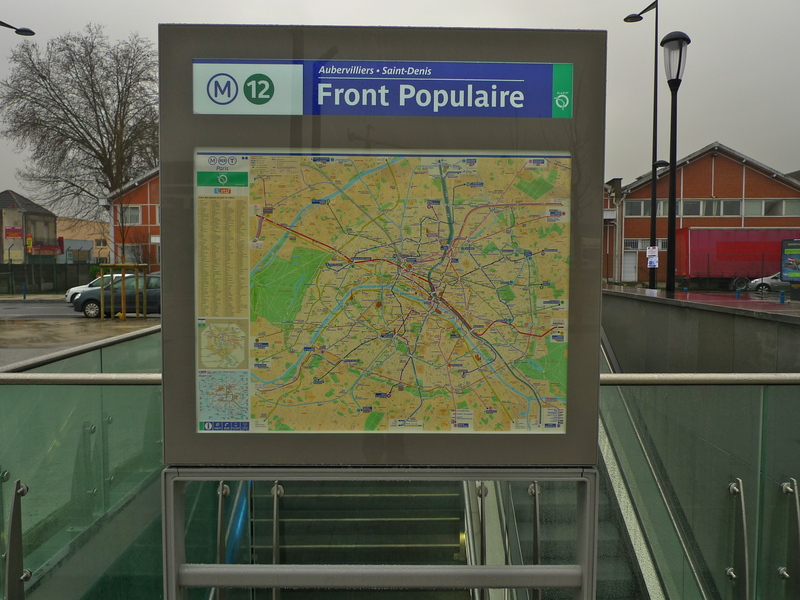 For the time being, Front Populaire becomes the new northern terminus of Line 12 but a further extension will add two more stations, Aimé Césaire, close to the canal Saint-Denis, and Mairie d’Aubervilliers, both expected to open in 2017. After that, in a further example of RATP’s joined-up thinking, the plan is for a further extension to connect to RER B at La Courneuve and Tram Line 1. 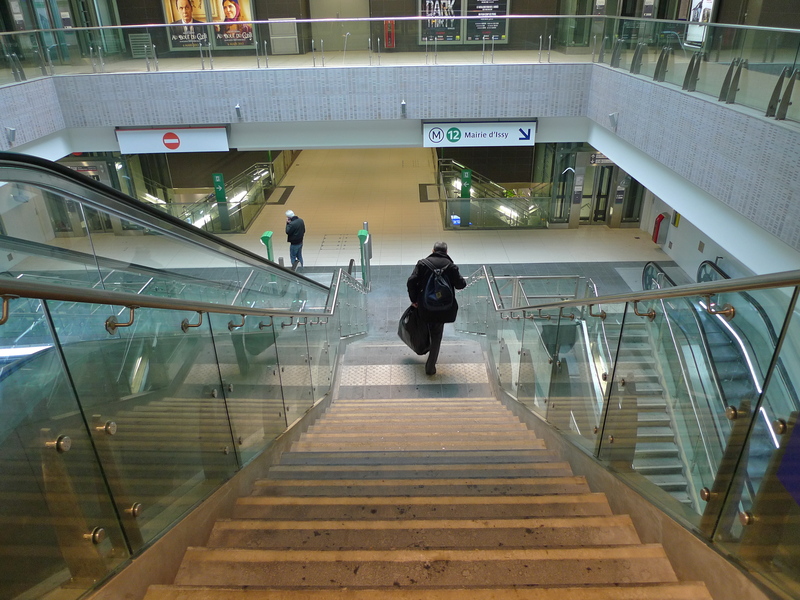 I went to visit the Front Populaire station shortly after it opened and I was impressed. Work began in mid-2008 and it took four years to complete the tunneling and the construction work on the station.. The station is spacious and the upper reaches are well lit by natural light coming through the large glass roof. 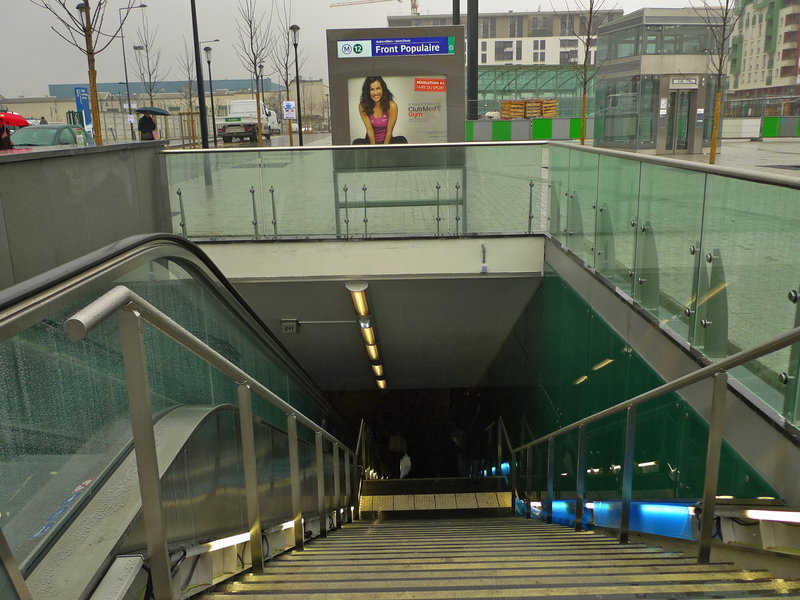 It has seven escalators and three elevators for those who want to avoid the stairs. I was a little surprised to discover that the tunnels are air-conditioned to ensure a constant temperature of between 10°C and 14°C, cooler in the summer and warmer in the winter. All the technical facilities are also temperature controlled. This being a brand new station, the tracks are in pristine condition as yet untouched by oil and grease from the trains or detritus from the public. It can’t last! And the new track has an effect on the sounds of the trains. The trains run very smoothly and much faster on this new section of track than they do on the rest of Line 12. It’s fascinating to listen to the sounds change as the train approaches Porte de la Chapelle where it slows down and joins the old track. The whoosh of the new line reverts to the clunkety-clunk so familiar to commuters on Line 12. 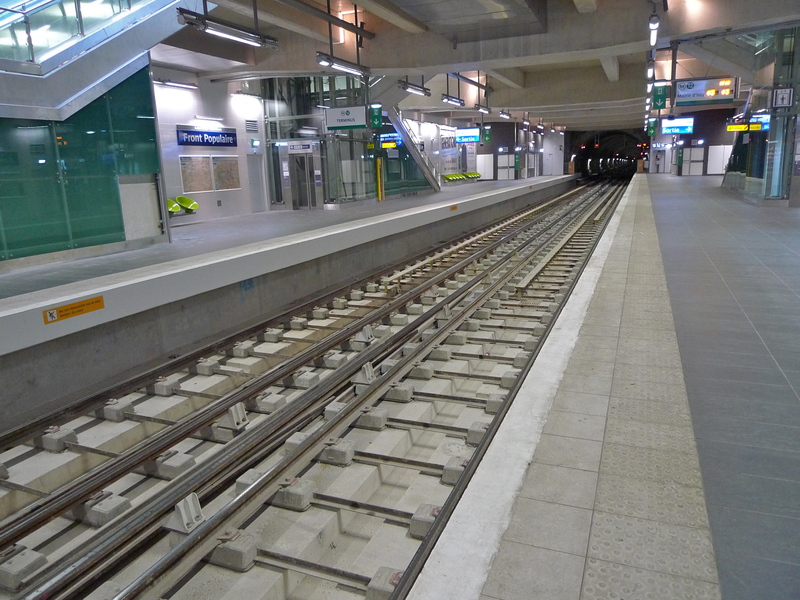 As well as this extension to the northern end of Line 12, thought is also being given to an extension to the southern end, which currently terminates at Marie d’Issy. 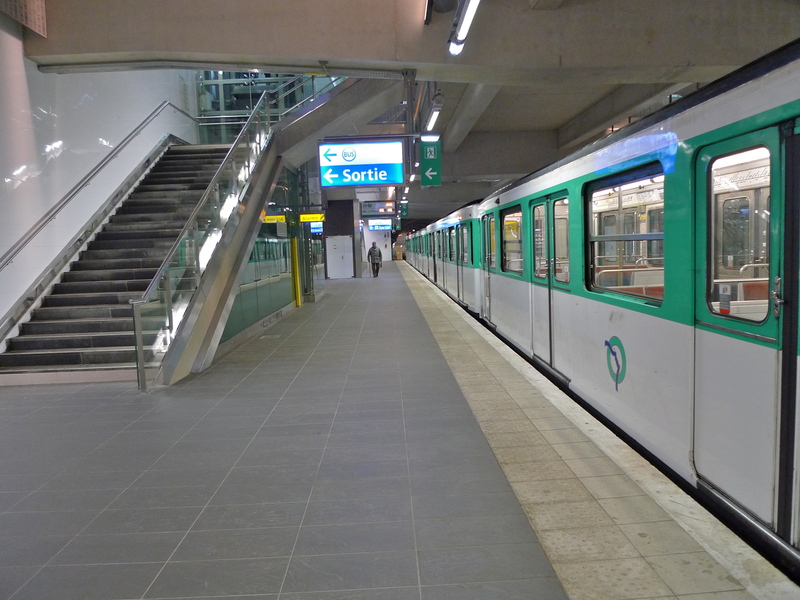 An extension to Issy-les-Moulineaux is envisaged connecting with Tram Line T2. Work on this extension could start somewhere before 2020. This proposed new extension will bring new track, new sounds and a more comfortable ride than today’s bone-shaking arrival at Marie d’Issy. Here are the sounds from the southernmost end of Line 12 as it is today from Convention station to Porte de Versailles, Corenton Celton and Marie d’Issy.